With vehicles becoming more fuel-efficient or all electric, Washington state needs to weigh options to its decades-old gas tax, and a road-usage charge is a possibility that warrants testing. I have spent much of my life advocating for consumers and take seriously proposed policies that would affect what’s best for Washingtonians. For the past five years, I’ve served on the Washington State Transportation Commission’s Road Usage Charge Steering Committee, where we have discussed both the need for sufficient and sustainable transportation funding as well as challenges to implementing any system that would replace our current gas tax. Today, our roads are paid for and maintained through this state gas tax, currently the nation’s second highest at 49.4 cents per gallon. This system has worked well for years. The gas tax is easy to administer and nearly invisible to taxpayers — many of us don’t think about how much tax we pay each time we fill up, or how our car’s fuel efficiency affects the amount we pay to maintain our roadways. However, cars are becoming increasingly fuel-efficient. This is a good problem to have. Major automakers like Ford, General Motors, Toyota and Volvo have announced plans to make their vehicle fleets all-electric or to explore alternative fuel sources. Forecasts show that over the next 20 years, the average miles per gallon of vehicles will climb from the current 20.5 mpg to 35 mpg. This equates to a 45 percent reduction in state gas-tax revenues. While these are estimates, this is a clear indication that we need to identify a new funding source to meet future needs. The maintenance of our bridges and highways depends on a predictable, long-term source of revenue. 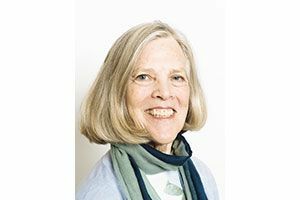 Sharon L. Nelson serves on the Washington Road Usage Charge Pilot Project Steering Committee, is a former chair of the state Utilities and Transportation Commission and a longtime consumer advocate. 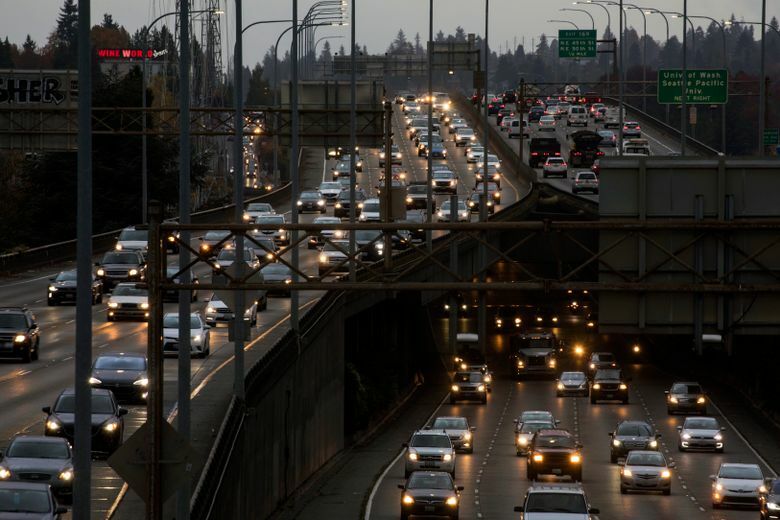 That is why the Washington State Transportation Commission asked the committee to assess whether a road-usage charge system could potentially replace the gas tax — emphasis on potentially. A road-usage charge is different from how we currently fund our roads — drivers would pay for each mile they drive on public roads in Washington, rather than per gallon of gas they buy. While that sounds simple, replacing a system that’s been in use in our state since 1921 has its challenges, including how such a system would be administered, maintained and, importantly, how it would protect the privacy of Washington’s drivers. Our committee has been mindful of balancing the privacy needs and financial concerns of Washington drivers since our first meeting. While we don’t yet know if a road-usage charge is the best solution, we are committed to exploring how it might work in our state. To do this effectively and to better understand what these challenges might mean, we are seeking at least 2,000 Washington drivers to sign up for a unique, hands-on opportunity to participate in a test of this potential system, and to let us know what they think. Our state is hardly a pioneer on this concept. Oregon and California have already started and assessed similar systems. A dozen other western states are also looking at the feasibility of this type of system, and some have performed smaller-scale versions of the pilot we are about to test in Washington. In Washington, participants will be asked to report the miles they drive on public roads. We know this brings up privacy concerns for some people. This is why we will have four reporting options to choose from, including two that don’t use GPS. Participants can report their mileage with either a preselected block of miles; quarterly odometer readings; an automated mileage meter with GPS and non-GPS options; or a smartphone app. A third-party vendor will process all GPS data. The state will only see the number of miles driven, never location information. There are many more policy details to work out before a road-usage charge would become law. The Legislature remains the ultimate decision-maker on tax and transportation policies. Contrary to the opinion expressed by the Washington Policy Center, a potential future road-usage charge is not a matter of political ideology — it is simply an option to replace our aging gas tax. The upcoming pilot will inform what might work best for our drivers and consumers. We need drivers all around the state — especially those unsure about a per-mile charge — to help us determine whether this is feasible for Washington. To learn more and sign-up, please visit waroadusagecharge.org.